Brad Keselowski battled the weather, his own teammate, and a pit-road penalty to win yesterday’s NASCAR race at Las Vegas Motor Speedway. 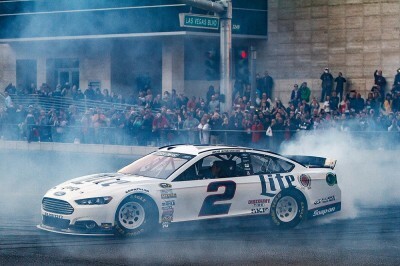 Keselowski’s victory gave Ford its first win of the 2016 Sprint Cup season. More From Ford: Have you seen the new Ford Mustang LEGO sets that debuted March 1st? The 32-year-old Keselowski led an early stretch of the race and appeared to have one of the strongest cars, but a penalty for driving too fast on pit road forced him to the back of the pack. At the time, it seemed like that penalty would take Keselowski and his No. 2 Ford Fusion racecar out of contention for the win. Last week’s winner, Jimmie Johnson, dominated the middle part of the race. 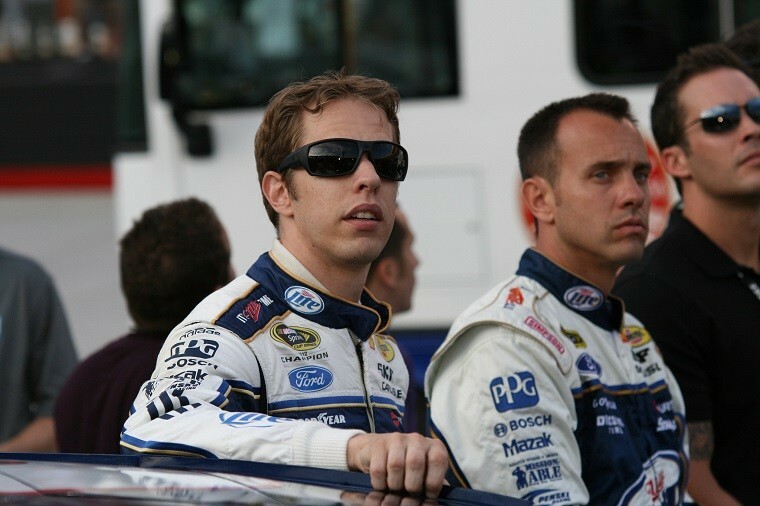 Johnson led a race-high 76 laps, but when he pitted with 52 laps left, Keselowski stayed on the racetrack and moved ahead of the six-time NASCAR champion. Keselowski was finally able to pass Toyota driver Kyle Busch with six laps remaining for the race lead, which gave Keselowski his 18th career Sprint Cup victory. Fellow Ford driver Joey Logano finished the race in second, Johnson came in third, Busch finished fourth, and Austin Dillon rounded out the top five. Popular Team Chevy drivers, Dale Earnhardt Jr. and Danica Patrick, finished 8th and 21st, respectively. Sunday’s race in Las Vegas was also notable because of its extreme weather conditions. The beginning of the race saw extremely strong winds, as well as a sand storm that blanketed the track before light rain began to fall. In the first three races of year, each manufacturer has picked up a victory. Toyota driver Denny Hamlin won the Daytona 500, Team Chevy driver Jimmie Johnson won last week in Atlanta, and now, Keselowski was able to drive his Ford to victory in Las Vegas. The NASCAR Sprint Cup series will resume its season at Phoenix International Raceway on March 13th. The race is scheduled to start at 3:30 p.m. and will be broadcast by Fox.